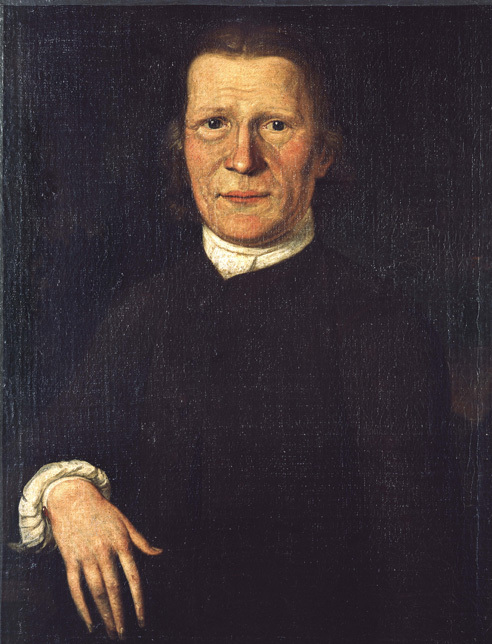 David Zeisberger is arguably the most widely known Moravian missionary to the Native Americans. He was certainly a remarkable man and a faithful messenger of the gospel. Zeisberger was born on April 11, 1721, in Zauchtenthal, Moravia, a region now in the Czech Republic. His family moved to the Moravian community of Herrnhut not long after it was founded on Count von Zinzendorf’s Saxony estate in 1727. Zeisberer remained behind to complete his education when his family emigrated to America, and joined them in 1738 at the Moravian mission to the Creek nation in Savannah, Georgia. The following year Zeisberger helped to found the community of Bethlehem, Pennsylvania, which was dedicated on Christmas Eve 1741. Four years later he went to live among the Mohawk. He became a member of an Indian family, received an Indian name, and was admitted into the Six Nations. He did not adapt to all the ways of the Indians, however, almost always wearing his black coat. Fluent in the Onondaga language, he assisted the noted Conrad Weiser in negotiating an alliance between the English and the Iroquois at Onondaga, near present-day Syracuse, New York. Zeisberger was ordained a Moravian minister in 1749 and became the senior missionary to the Lenape, or Delaware, tribe in Pennsylvania. He stood only slightly over five feet tall, but he seemed made of steel as he tirelessly traveled through primeval forests, over mountain ranges, and across rivers, visiting tribe after tribe. He was a staunch advocate for native rights, and his efforts to establish both white and native Moravian communities brought him into conflict with first British, and then American authorities. Although the Six Nations and the Delaware passed laws that he was not to be molested in his work, he often faced threats against his life from both Indians and Whites. The outbreak of the American Revolution placed Zeisberger and his converts between “two exceeding mighty and wrathful gods who stood opposed with extended jaws,” as one native orator put it. Both sides pressured the Indians to take up arms for their side. Zeisberger opposed this and urged the tribes to remain neutral in the war. The English sent the war hatchet to the Delaware twice, and both times Zeisberger and his native congregation, who were nonresistant, sent it back. 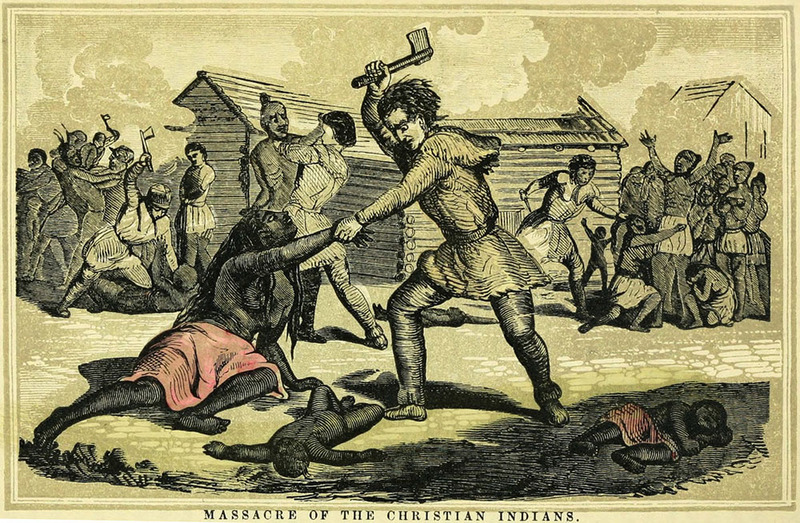 Zeisberger even received a letter asking him to take command of the Christian Indians and bring the scalps of all the rebels they could slaughter to the British. Needless to say, he threw the paper into the fire! His native Christian communities welcomed, fed, and housed people on both sides of the war. Inevitably this aroused the suspicions of both the British and Americans concerning Zeisberger's loyalties. The British accused him of giving aid to the Americans, and the Americans accused him of working on behalf of the English. Even so, there were many who acknowledged the work of grace the Holy Spirit was doing through him. Some American and the British military officials not only encouraged, but also at times provided aid for his work. In 1781, during the Revolution, the British arrested Zeisberger at Fort Detroit along with his assistant, John Heckewelder on charges of treason. They were eventually acquitted, but in 1782, while they were still imprisoned, a company of Pennsylvania militiamen commanded by Lt. Colonel David Williamson brutally slaughtered unarmed Delaware converts at Gnadenhütten, Ohio, an incident known today as the Gnadenhütten Massacre. While the Christian Indians were gathering corn for their starving brothers who had been forced from their villages on the Tuscarawas, Williamson and his troops surrounded them and accused them of supporting the British. 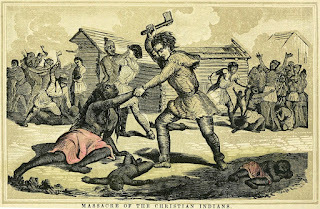 Ignoring the converts’ protests that they were neutral and nonresistant, Williamson and his men murdered and scalped 28 men, 29 women, and 39 children. Two Indian boys, one of whom had been scalped, survived to tell of the massacre. The victims included six national assistants and a woman who spoke English and German. On a single day of horror 96 people, one third of Zeisberger’s congregation, was lost. As a result, the already displaced Indians of the mission were again forced to flee their homes. During the twenty-year struggle over possession of the Ohio Valley, Zeisberger and his flock were driven from one settlement to another some 15 times. Conflicts with other native tribes and the expansion of white settlements into native lands finally forced many Moravian Christians to retreat to Michigan and Ontario. Zeisberger accompanied the group that moved to southern Ontario, where they founded a prosperous mission town in Fairfield. But at the age of 77, he returned to the destroyed villages in the Tuscarawas Valley of Ohio, where he founded Goshen in present-day Tuscarawas County. He spent the final decade of his life there. 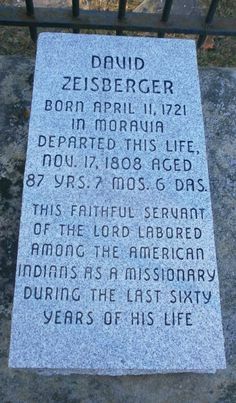 Zeisberger has been called the apostle to the Indians and friend of the Indians. During his life he produced dictionaries of several native languages, a history of the northeastern Indians and the land they occupied, and religious works in the Iroquoian and Algonquian languages. He was a great linguist who mastered the Delaware and Iroquois languages, as well as developing a working knowledge of other related Indian dialects—this in addition to German, Dutch, and English. The books he published include A Delaware Indian and English Spelling-book, with an appendix containing the Lord’s Prayer, the Ten Commandments, some scripture passages, and a litany; A Collection of Hymns for the use of the Christian Indians written in the Delaware language, which includes the Easter, baptismal and burial litanies; , a volume of Sermons to Children; a translation of Moravian Bishop Spangenberg’s Bodily Care of Children; A Harmony of the Four Gospels; and a grammatical treatise on Delaware verb conjugations. He also prepared a seven-volume lexicon of the German and Onondaga languages, an Onondaga grammar, a Delaware grammar, a German-Delaware Dictionary, and other similar works. When he briefly returned to Bethlehem in 1781, Zeisberger, then 60 years old, gave in to his friends’ persuasion and married 37-year-old Susanna Lecron. They left to return to the mission field less than a week after their wedding. 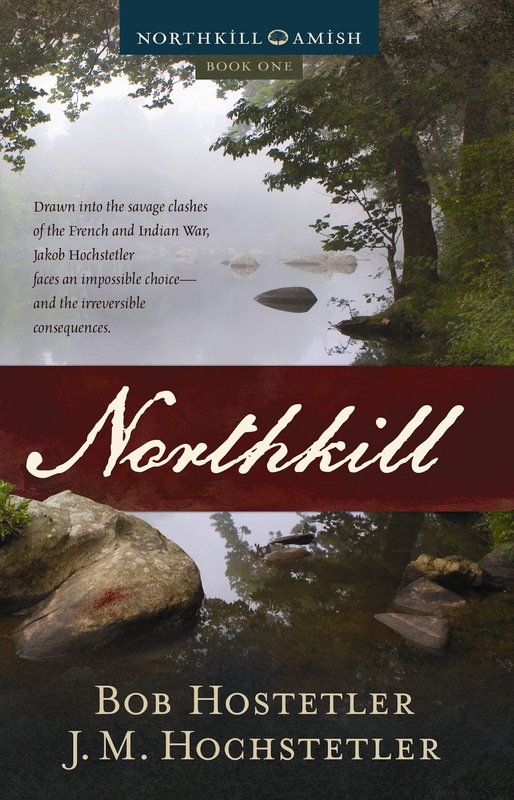 They labored together for the remaining 27 years of his ministry among the Indians, and only after his death did Susanna return to live among the widows at Bethlehem, Pennsylvania. Except for a few short intervals, Zeisberger ministered among the Indians for 62 years. By the time he died at Goshen on November 17, 1808, at the age of 87, he could count several thousand converts from almost every tribe in Pennsylvania, Ohio, New York, Ontario, northern Virginia and Kentucky, and eastern Indiana and Michigan as a result of his ministry. He was deeply loved by his native congregations. While he lay dying, the chapel bell tolled as the people quietly gathered in the room to sing him home with the hymns he had translated into the Delaware language. He is buried in Goshen among his beloved Delaware brethren. He made an enormous difference at a good deal of danger to his life, Marilyn. An admirable man! Wow, what a powerful post. Thank you so much for sharing. I don't recall ever hearing or reading about David Zeisberger. Thanks again. Hey, chappydebbie! I didn't know much about the Moravian missionaries either until I ran across them while doing research for The Return. Their faithfulness and bravery has sure inspired me, and I'm delighted that I can include them in my story!